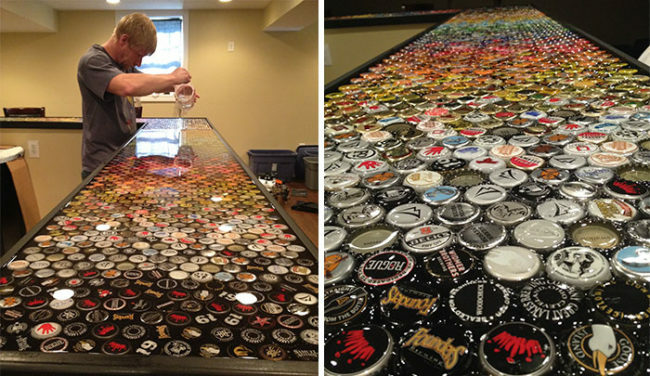 Choosing the right kitchen work surface is never easy and with so much choice available it can be tough, but not for this guy who decided what he was going to do with his when he and his family began collecting beer bottle caps more than five years ago and 2,530 bottle caps later he finally has one truly unique kitchen top. The initial plan throughout the years of collecting was to create an image in the kitchen top using the various coloured and patterned bottle caps however when it came down to actually creating the work surface reality soon set in and they realised just how hard it would be… so they opted for a far easier but equally as impressive gradient of colour that works its way across the kitchen top broken down into yellows, pinks, oranges, greens, blues and more. Apparently it took 4 hours and a lot of restarts in order to achieve the desired effect but in the end all of that collecting and a lot of patience right at the last minute was worth it for a kitchen top that looks amazing. 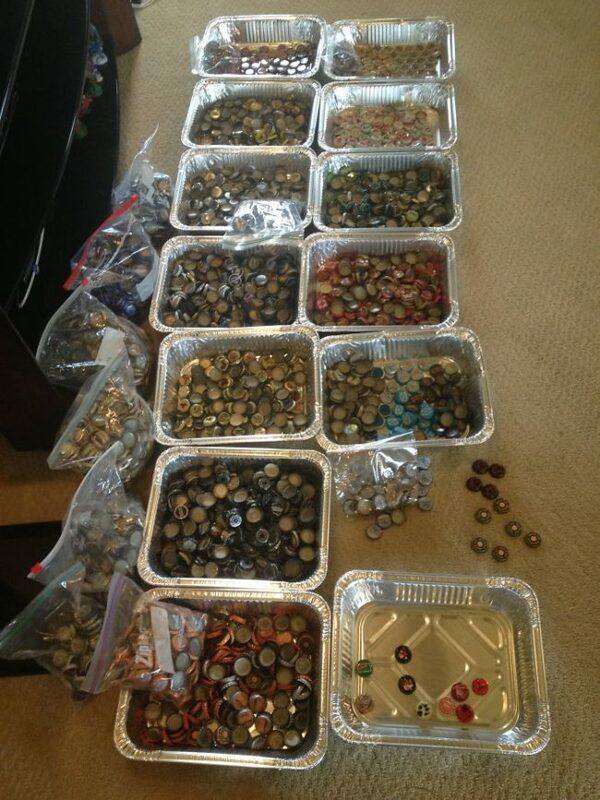 Once the caps were in place they were covered with 5 layers of epoxy resin to make sure they’re trapped forever. He decided to use a rainbow pattern, also known as ROYGBIV (red, orange, yellow, green, blue, indigo and violet). 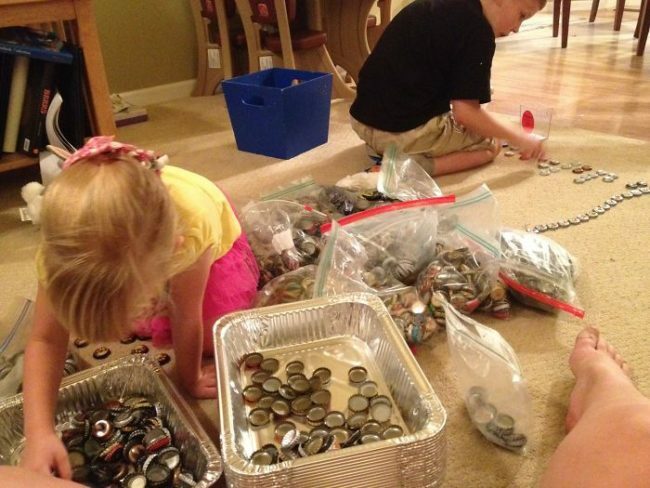 He had everyone in the family sorting caps into ROYGBIV piles. It took several re-dos to get the pattern right and about four hours to compile. 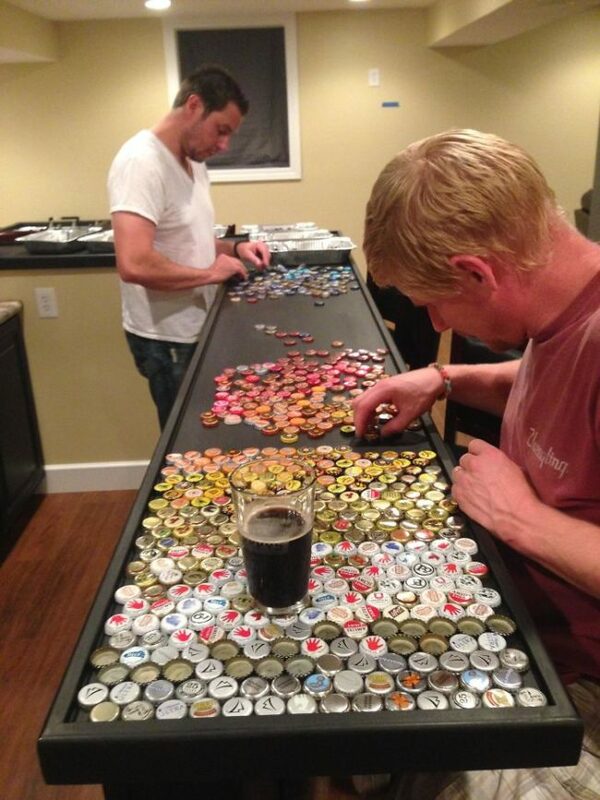 He started out with a customized wooden bar top. 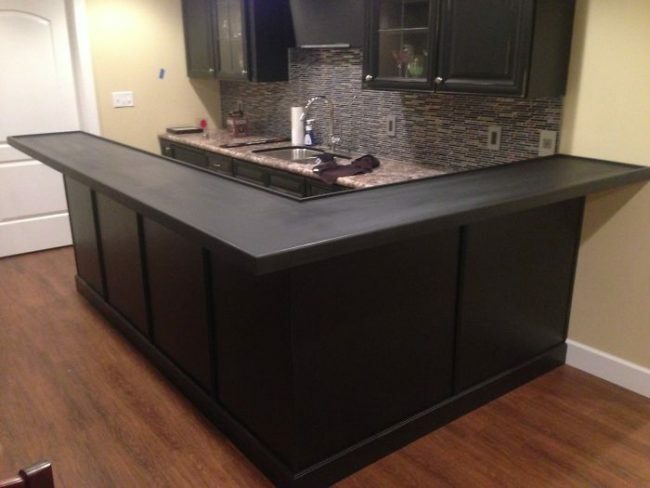 The bar was then painted black. 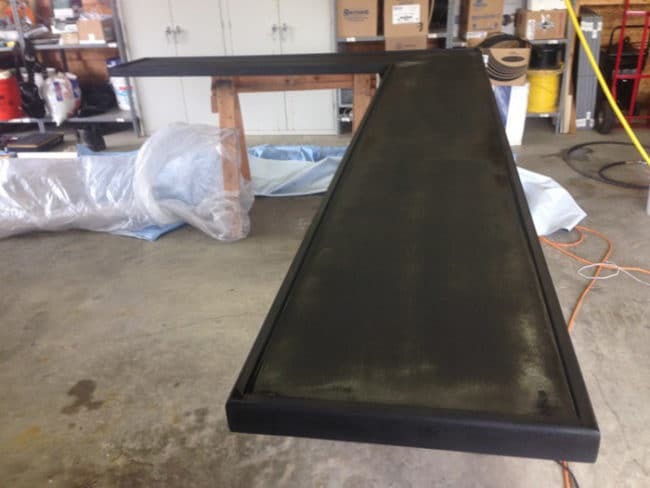 Great care was taken to make sure that the bar was level so that the sealing coat would dry evenly and not pool in certain parts. 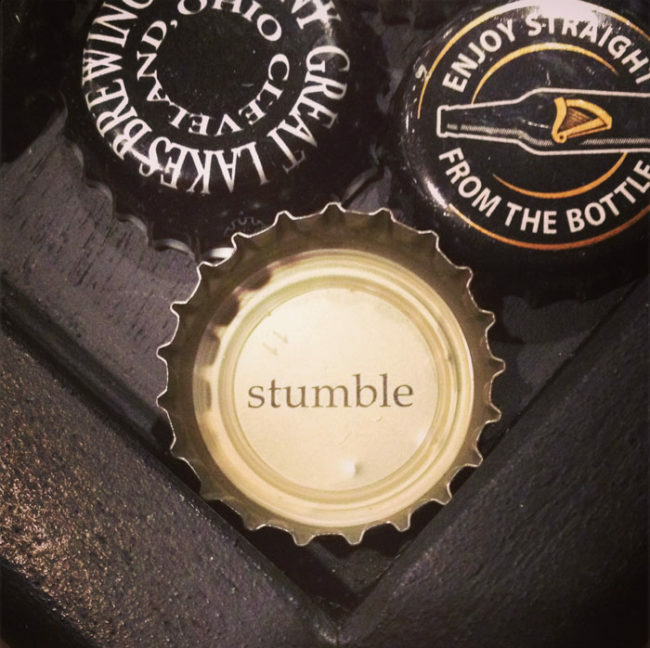 And there was beer drinking going on while the project was being completed… obviously. 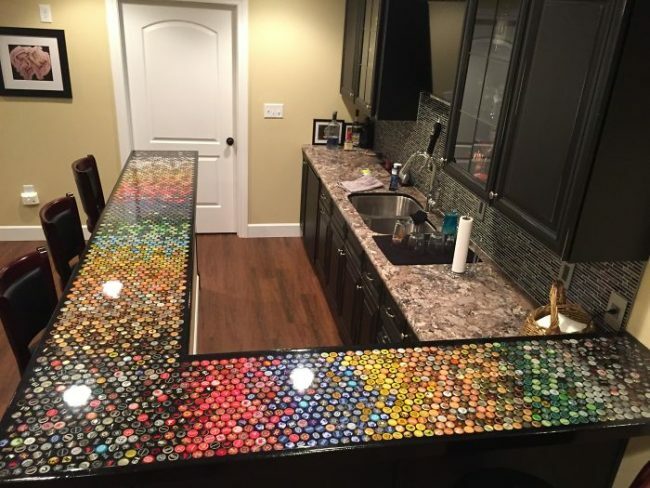 They used various different bottle caps to give pops of color throughout the piece. 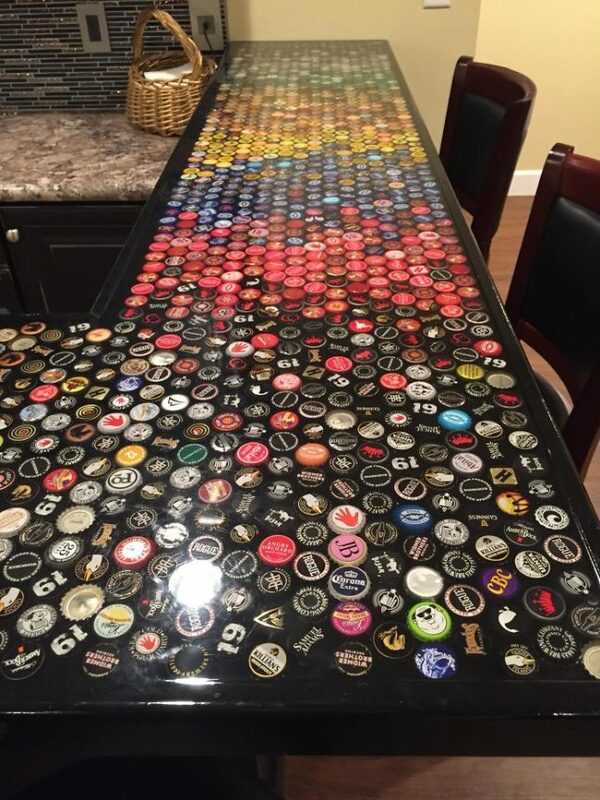 Once the caps were in place, five thin layers of epoxy were poured onto the bar top to permanently set the caps. “Here you can see how we laid them out allowing the caps to ‘flow’ into each other, rather than having hard color stops,” thepassionofthechris wrote on imgur. 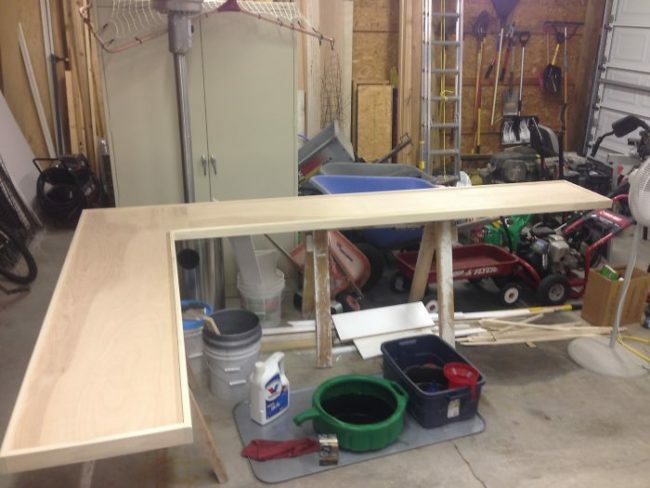 His absolute favorite part about putting this project together was that he made it with family and friends. 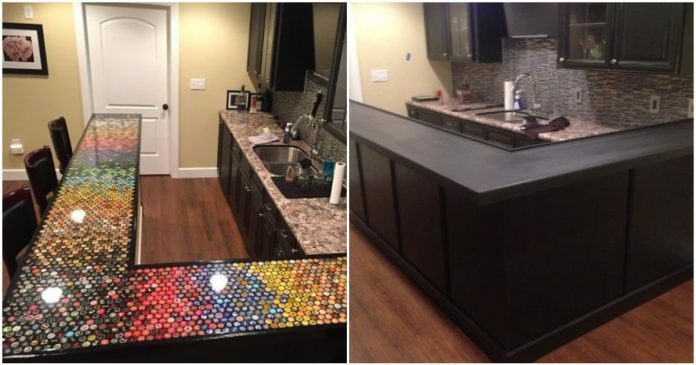 This colorful kitchen countertop is nothing you’d see in a store and can only come from someone’s imagination and DIY initiative.